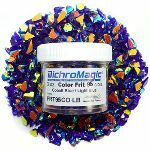 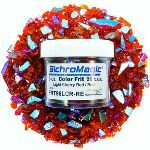 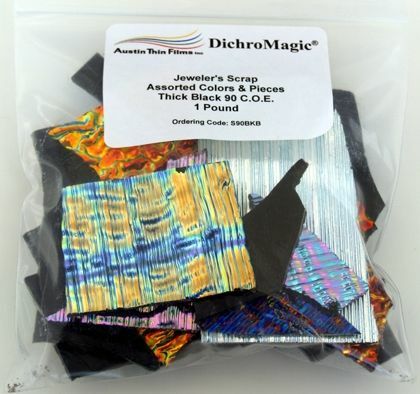 Dichroic is defined in the dictionary as "The property of a surface of reflecting light of one color and transmitting light of other colors." 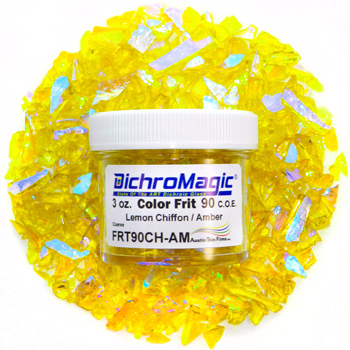 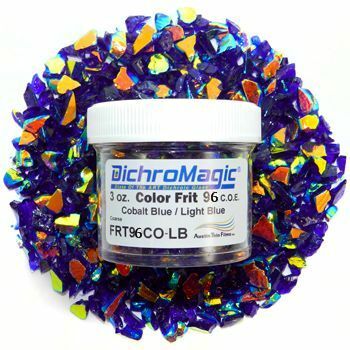 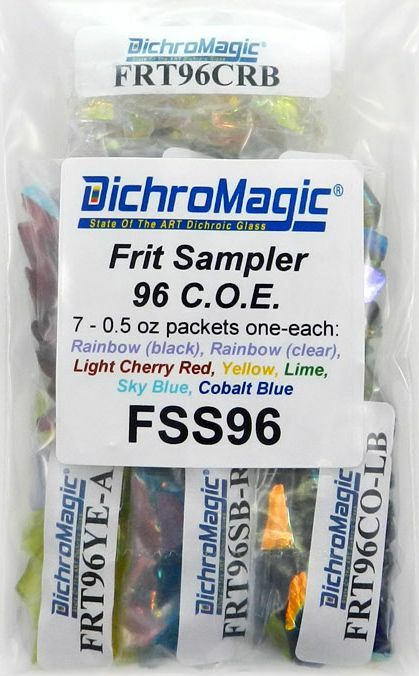 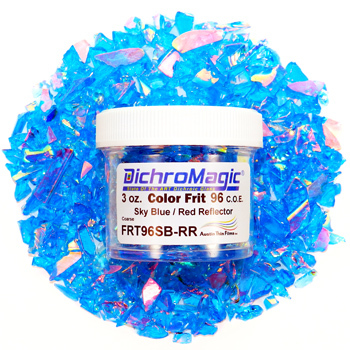 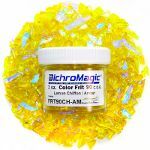 Transmitted colors are what you see when you would look through a clear piece of DichroMagic glass. 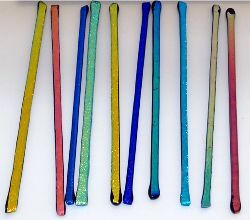 Reflected colors are the colors you see when you hold the glass in front of you, and will be opposite color of the reflected. 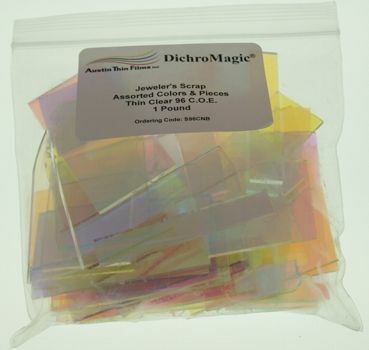 Dichroic coatings are produced by vacuum depositing multiple thin layers of exotic materials onto a glass substrate. 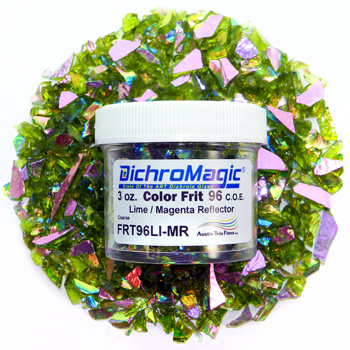 This creates an optical filter that can selectively reflect and transmit wavelengths of light. 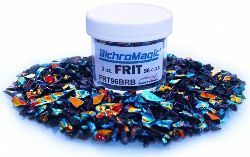 The proprietary evaporants are vaporized in a crucible located in the bottom of the vacuum chamber, by a high voltage electron beam onto the rotating glass above. 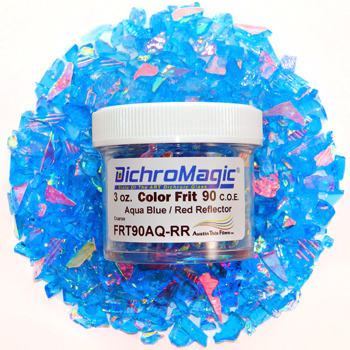 The glass is also rotated in the chamber through this vaporization process in order to deposit uniform coatings on the glass. 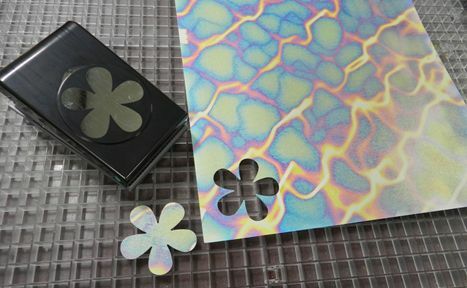 Due to the difficult coating process there can be slight differences in color throughout the sheet, or from one sheet to the next. 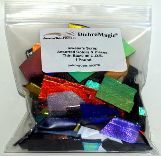 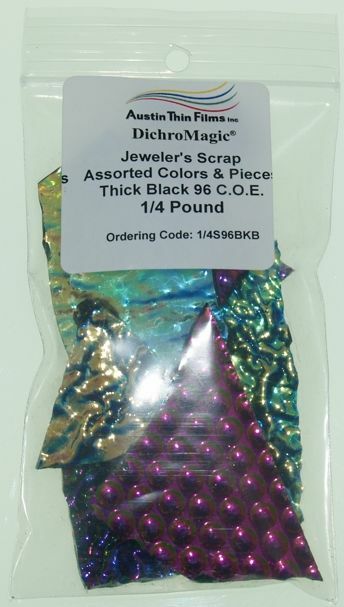 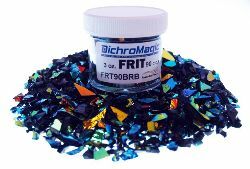 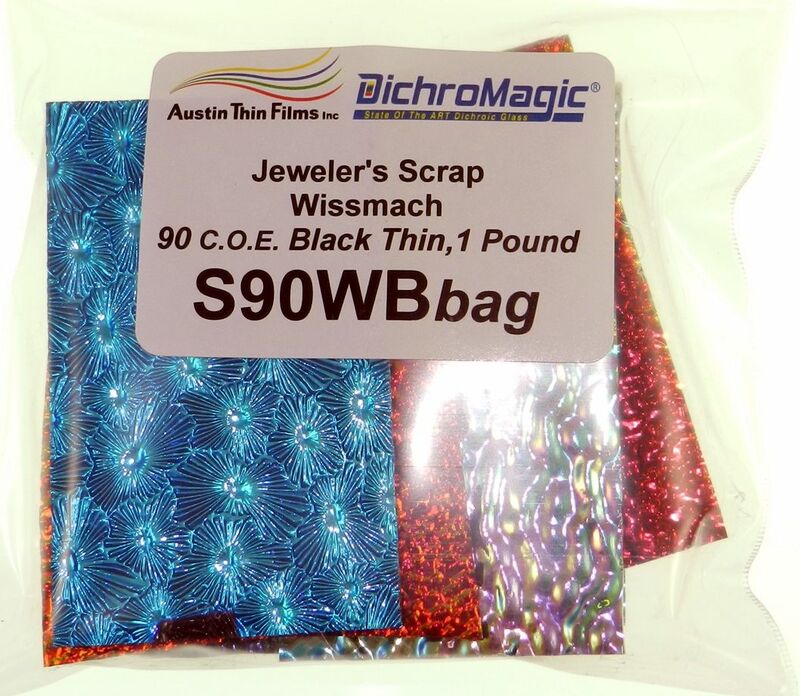 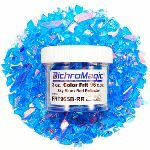 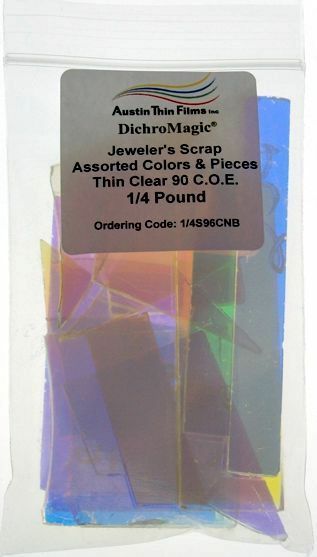 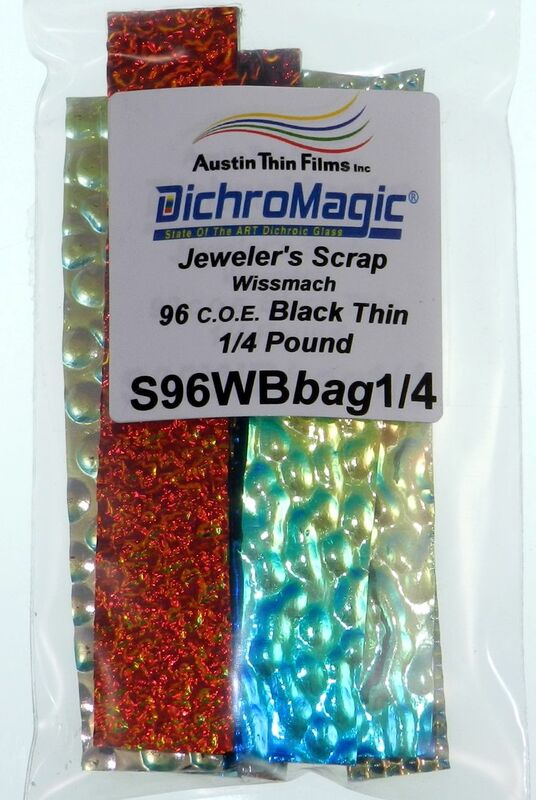 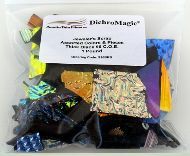 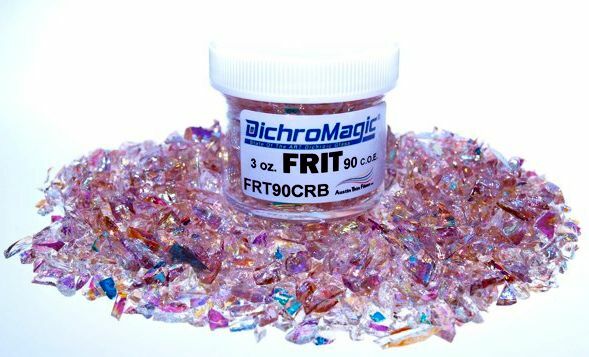 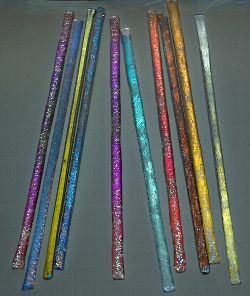 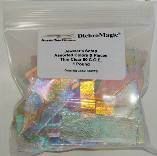 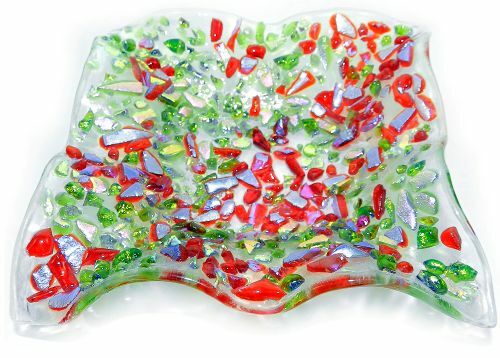 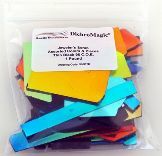 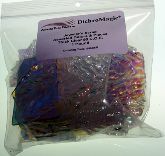 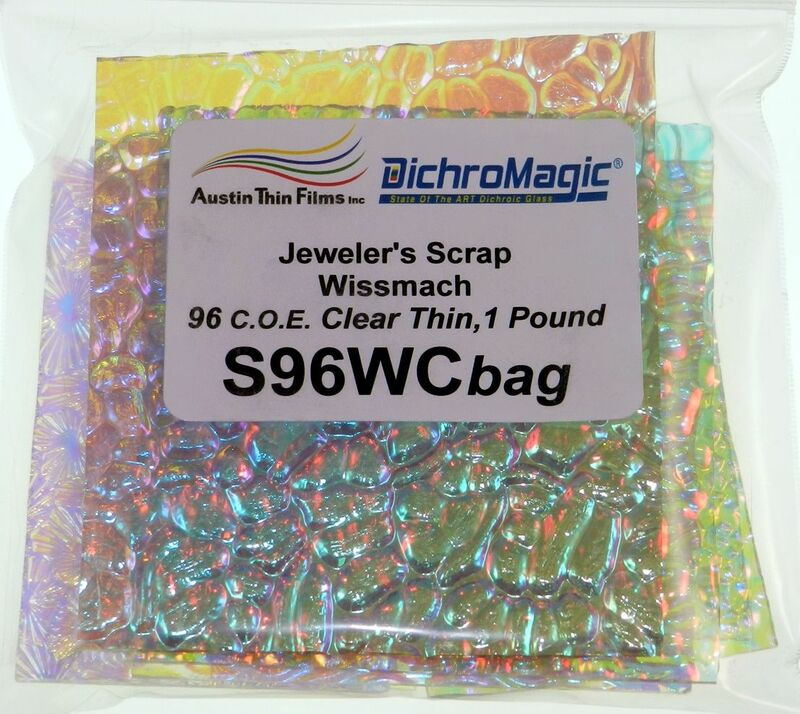 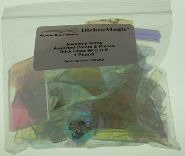 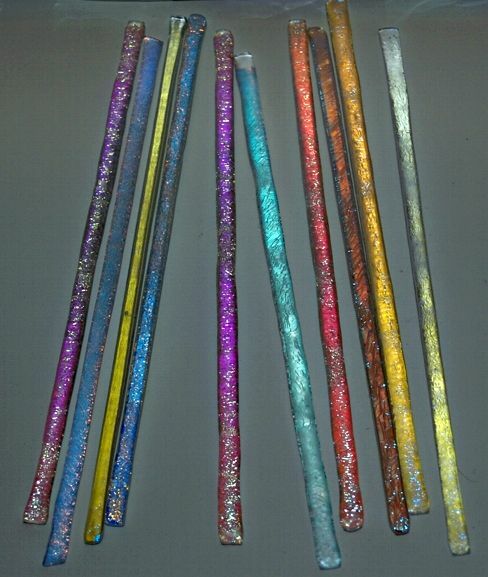 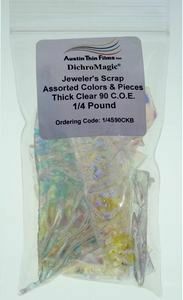 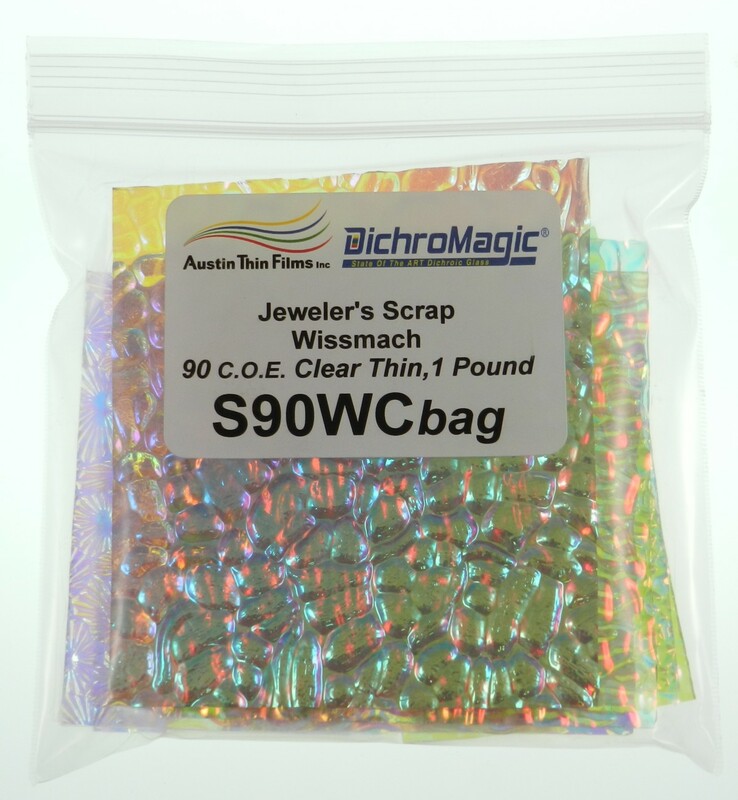 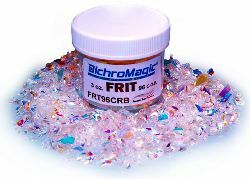 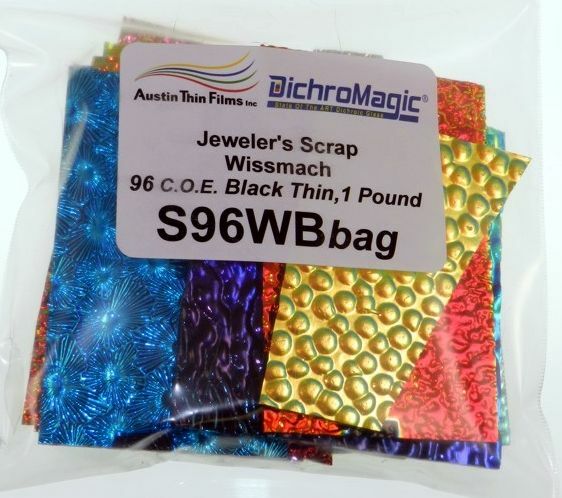 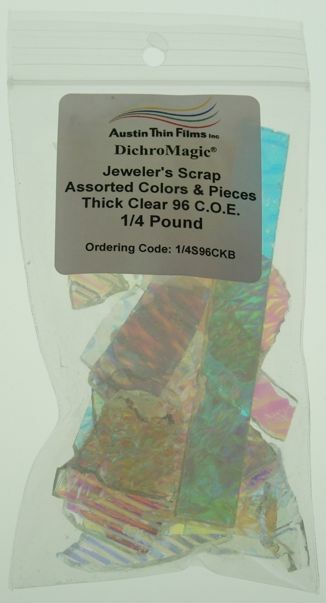 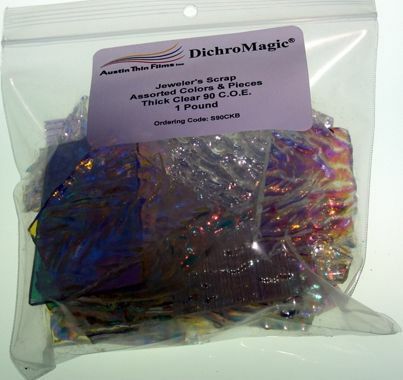 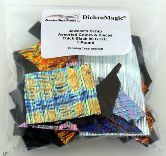 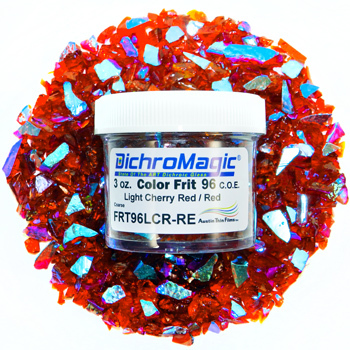 We have a large variety of Dichro Scrap Glass to make beautiful fused art pieces. 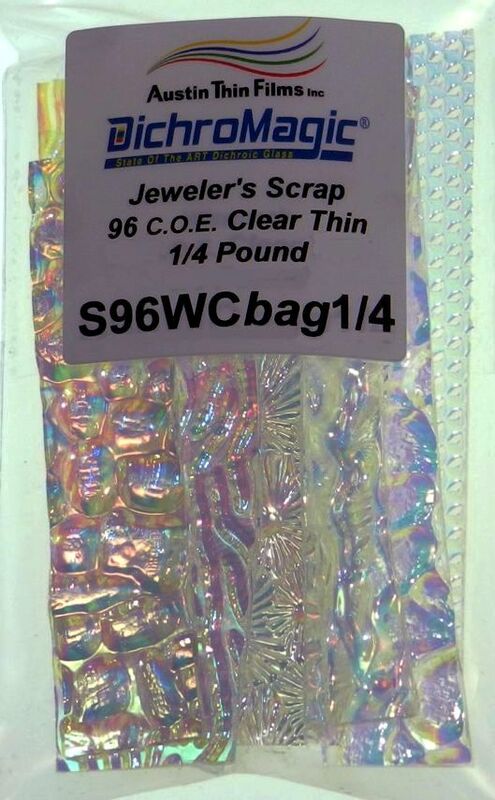 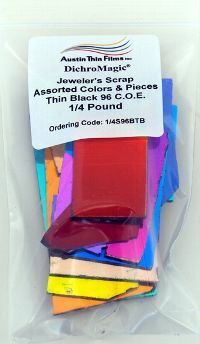 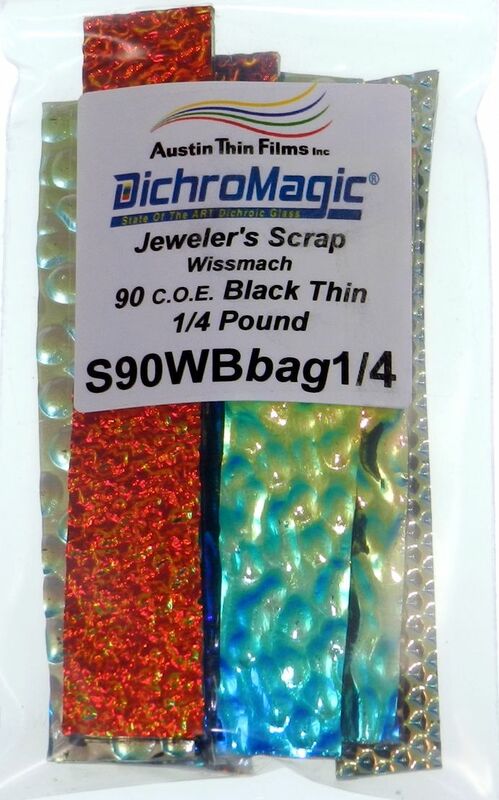 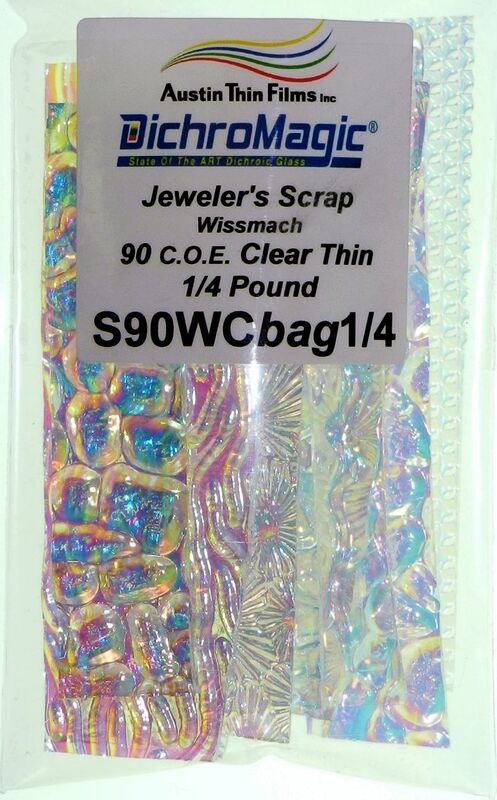 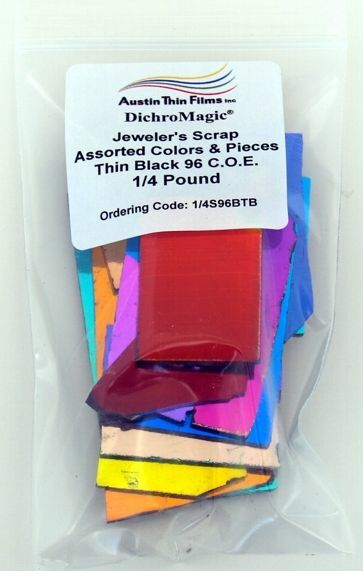 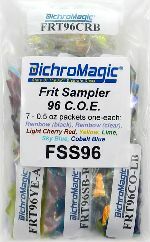 Standard size or thin, Black or Clear, 90 or 96 COE scrap in assorted textures and colors. 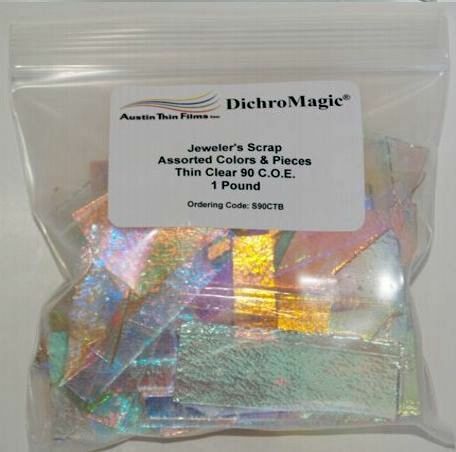 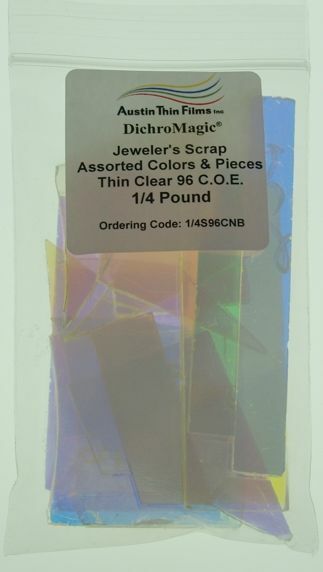 DichroMagic Decal Paper can be used on any COE and glass-type! 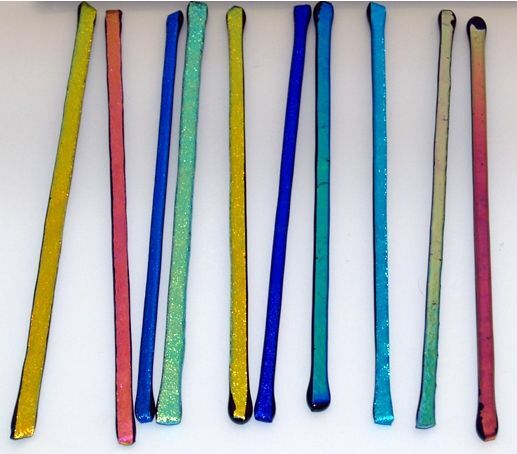 Cut to your desired shape... soak in water for 30 seconds and carefully slip onto your glass. Pat it dry to get rid of any air bubbles. 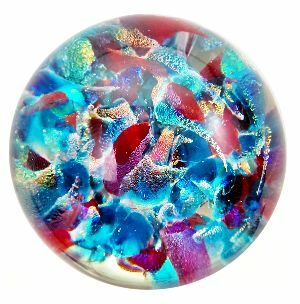 Fire as directed by glass-type. 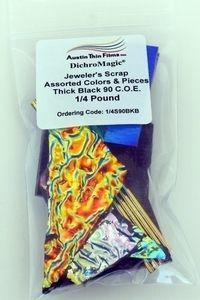 Comes in 3 different sizes for each style.